Movie Synopsis: Desi version of My Fair Lady. Surinder Sahni (Shahrukh Khan) works as a clerk in a company. He represent the everyday person. Taani (Anushka Sharma) plays a young girl who is fun loving, extrovert and a dreamer all set to marry a guy she loves. In a Bollywood twist Taani ends up marrying Surinder instead. Their life is just routine and fun less due to the age difference between them. Taani is learning to dance and wants to join a dance reality show called "Dancing Jodi". To help his wife Surinder turns himself into a outspoken, smart, dashing and fun person, Raj, to become Taani's dance partner for the competition without letting her knows it's really himself. Taani unknowliy falls love with the new Surinder and they both plan to elope on the night of the dancing competition. Surinder wants to find out her real love and hence does not tell her who he really is. Movie Review: Overall the movie is a good movie to see with your family. 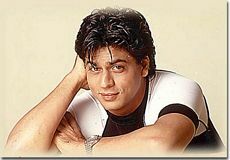 SRK has acted well and the story is well directed with good music. The dance choreographed by shamak davar on the song "dance pe chance"is wonderful.